Coin is a buzzy new startup that's making a digital credit card that stores information for all the other cards in your wallet. After revealing its all-in-one digital credit card last week, startup Coin found itself knee-deep in fundraising money and hype -- but also a large amount of criticism. Now the company is taking steps to addressing potential users' concerns. Critiques of the device included potential security issues: How secure is the sensitive data stored in this digital card and app? Can a Coin owner use the device as a card-skimmer, and secretly swipe someone else's card? Other concerns included the fact that the current Coin prototype wouldn't work if your phone runs out of battery, and whether merchants will accept the device for payment. The company plans to add a button to the Coin card so users can reactivate it even if their phone is dead. Users will be able to tap a button in a "Morse-code-like" fashion. Coin will also feature a system that shows how many times your card is being swiped, and tell you if someone is using it when it isn't near you. Finally, the device will also "lock" on one particular card -- so the waitress can't accidentally switch your payment method when she grabs Coin from you. Coin CEO and founder Kanishk Parashar told CNNMoney those changes will come "down the road" in future prototypes of the product. The card is slated for a summer 2014 release. In addition to the new features announcement, Coin also issued an expanded FAQ "with over 50 responses to top questions." Within that list, the company stressed that the Coin app will be password-protected and that all card information is encrypted. Coin also said its app won't let users add information for cards they don't own, a feature that will be powered by a financial-data service like Intuit or Yodlee. The post-launch period has been a learning experience for Coin, Parashar said. "One of the things we wanted from our launch was feedback ... but we didn't expect so much," he said. While Parashar said he doesn't find the criticism unfair, he did complain about the vehemence of some of the critiques: "Everyone forgets that this thing is six months old. It takes time to put it everything together fully." Parashar, who said he hasn't slept since Coin launched its campaign last week, was most surprised by the concerns about security and fraud. "I was surprised that people really broke it down, really got into the nitty gritty about these specific use cases," Parashar said. In Coin's attempt to make its premise "really clear," he said, "we left some things out." The feedback has changed Coin's philosophy on two particular issues: merchant relations and a potential global audience. Last week, Parashar told CNNMoney that Coin wasn't planning "to go out of our way to educate the merchant world about it, because we're focused on the consumer side." Now, he said, he will talk with credit card companies and merchants "much faster than I anticipated." Secondly, Coin also plans to focus on the global payments system. The current device is being developed for the U.S. market, but much of the rest of the world uses a chip and pin system known as EMV. 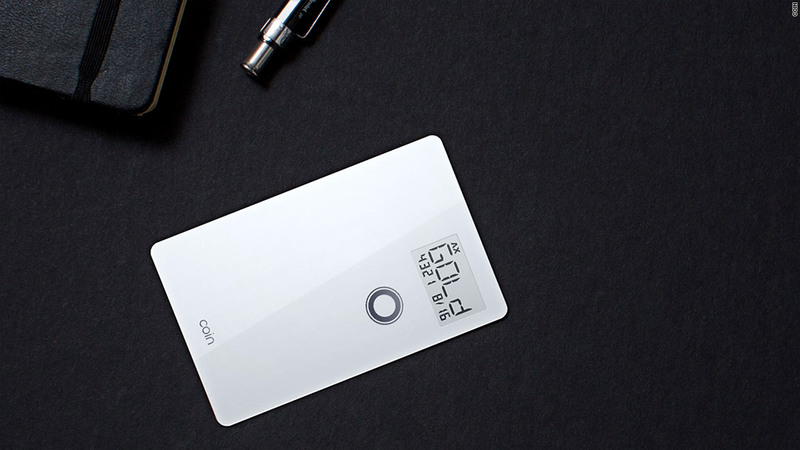 Coin doesn't currently support EMV, but the company plans to add that capability in future versions of the device.